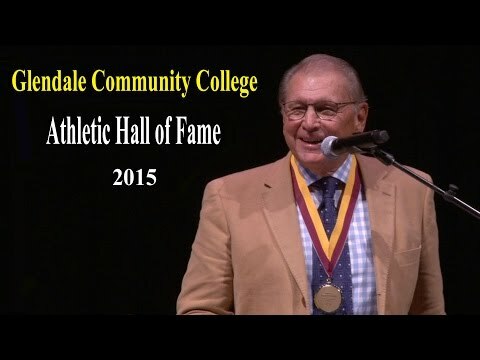 It was the biggest and best Glendale College Athletic Hall of Fame event of all! Tune in to see inspiring speeches by Jim Sartoris, Dr. David Viar, inductees into the GCC Hall of Fame, a Skyped message from former GCC team-member Andy Reid to Coach John Cicuto. and more. Entertainment was provided by our own GCC Jazz Ensemble, who are featured during the opening sequence. Visit www.glendale.edu/hof for information about the next event. You don't want to miss it! Thank you for tuning in.